Indian Pass is a hook-shaped peninsula, about 3 miles long, jutting out into the Gulf along Scenic Highway 30A between Port St. Joe and Apalachicola. The beach across the street at the wildlife refuge. 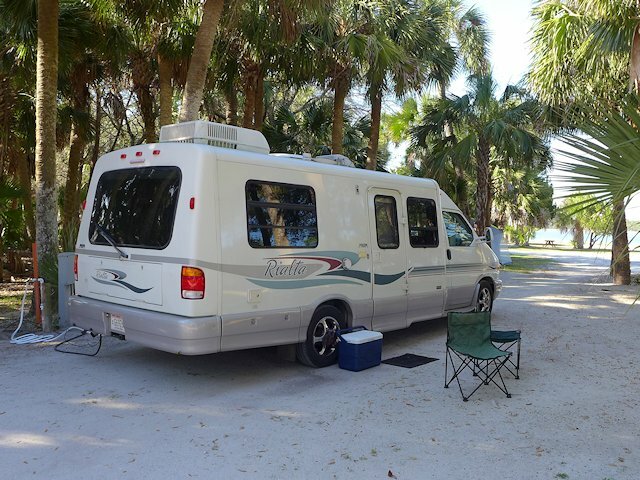 The Indian Pass Campground is at the very tip of the peninsula adjacent to a portion of the St. Vincent Wildlife Sanctuary and the Boat Ramp and Ferry Dock. 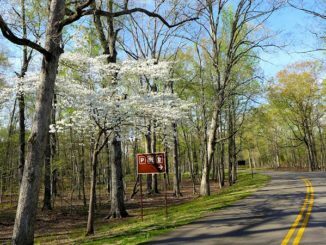 There are 34 RV sites with electric, water, and basic cable, plus a handfull of tent sites. There is a bath and shower building, a laundry area, and a modest store in the campground office. Wi-Fi is available at the office and on the porch. The lagoon formed by the peninsula and the adjacent St. Vincent Sound (bordering St. Vincent Island) make the campground popular with kayakers and canoeists. 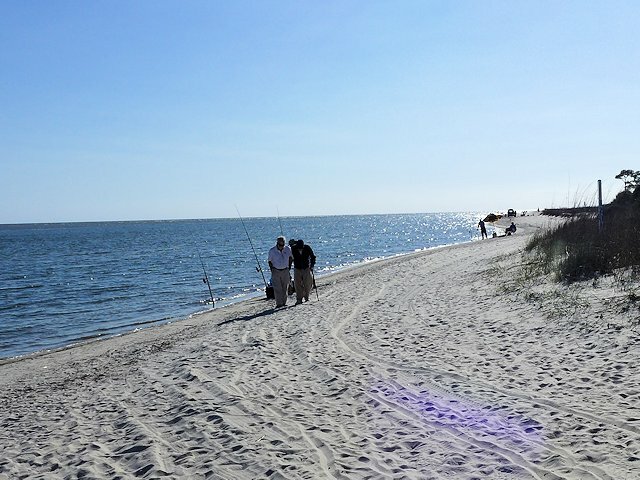 The convenient boat ramp and the protected waters are also ideal for fishermen. While the campground has its own beach, the isolated sand beach bordering the wildlife refuge is a better alternative for sunbathing and swimming. 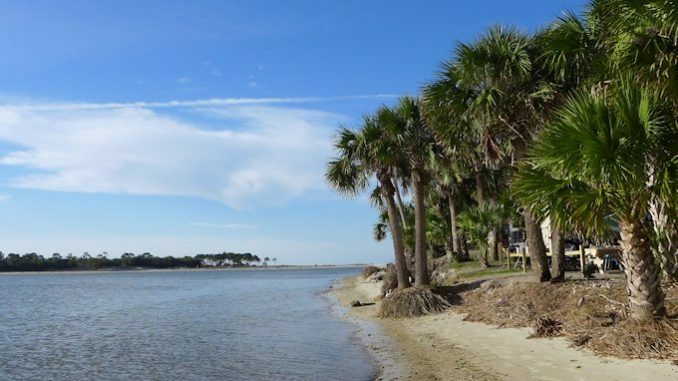 The Indian Pass community is mostly homes with a few smaller condos with few commercial establishments so there’s not much traffic and being located at the end of the road, the campground is in a very peaceful setting and the extensive beach looking out towards St. Vincent Island is uncrowded and unspoiled. The campsites in general are well-shaded and mostly level. The sites are arranged in a somewhat crazy-quilt manner oriented around the trees and terrain. I think this adds to the general attractiveness, although it means large units will have trouble accessing some of the sites. But some will easily accommodate larger units and some sites are pull-through. Other Nearby Attractions. 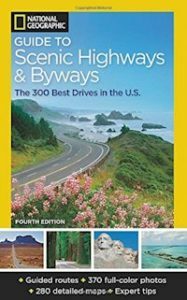 The nearest bar or restaurant is 3 miles away on Highway 30a at the entrance to Indian Pass. 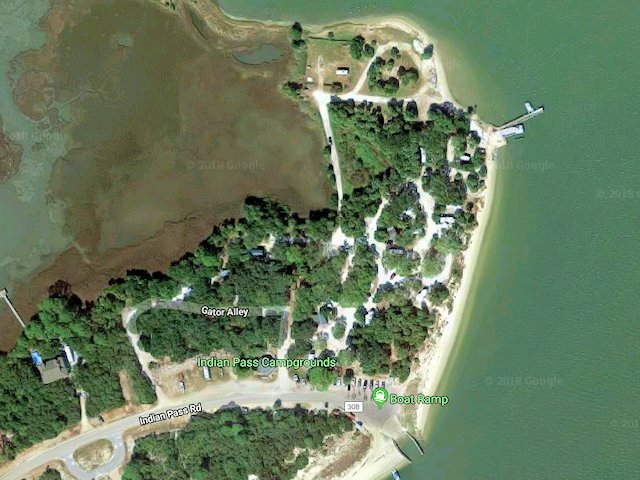 The closest general shopping is in Port St. Joe, 13 miles from the campground. 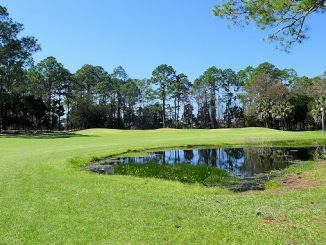 The St. Joseph’s Bay Golf Course (see our review) is 10 miles away and for us a nice bonus as we enjoyed the course very much. 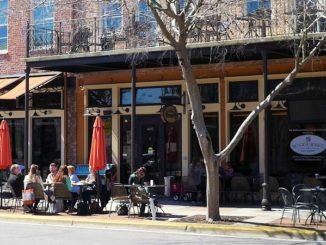 Historic Apalachicola, with many notable seafood restaurants, raw bars, galleries and shopping boutiques is 21 miles from the campground.